Based in Denver, the National Sports Center for the Disabled hosts a variety of activities for people with disabilities. Winter and summer sports are available to those possessing a wide range of physical, behavioral, cognitive or emotional diagnoses. Participants can even receive specialized skiing instruction or blaze disability-friendly trails in the open air. → The Illinois Department of Natural Resources offers fishing and nature excursions for people with disabilities. The IDNR provides numerous fishing events annually, and hunters with disabilities can hunt deer, waterfowl, doves and pheasants at multiple locations throughout the state. 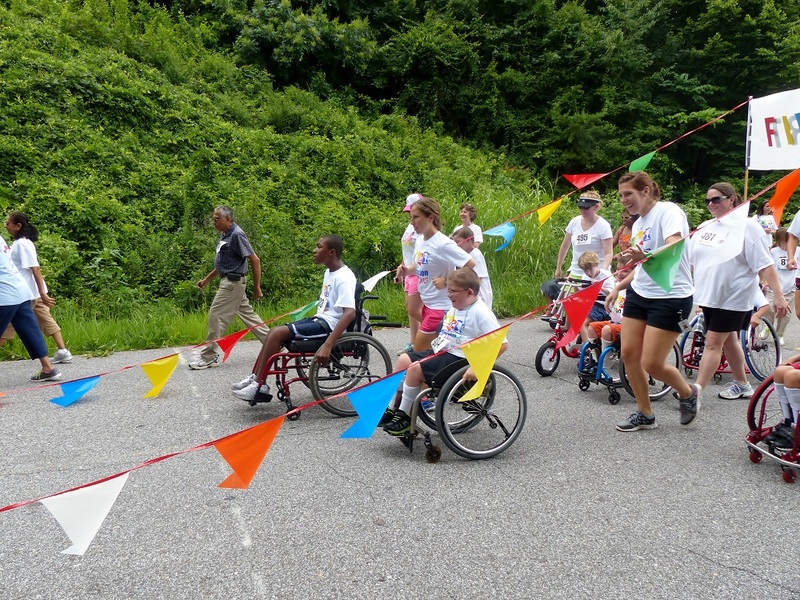 Parents can alter and adapt everyday outdoor activities to suit the needs of their children with disabilities. Certified therapeutic recreation specialist Tip Ray offers a comprehensive list of recommendations in his article, “Principles for Adapting Activities in Recreation Programs and Settings.” In it, he states that involving people with disabilities in outdoor activity is important not only to their physical health but also to their emotional well-being, which can improve when he or she becomes more involved in the community. Some creativity is usually required, though. Ray suggests changing the rules or procedures of standard activities and games. In sports, the player can be moved closer to the hoop or goal or the net can be lowered. Parents can also provide modified or adapted equipment, like replacing volleyballs with beach balls. Both children and adults should wear sunglasses to protect their eyes from direct sunlight and snow and ice glare. Revant Optics carries replacement lenses, so you can always have a set on hand. Before participating in outdoor sports and activities, people with disabilities should talk to their doctors about the amount and type of physical activity that’s appropriate for them. For information to help guide this discussion, check out the CDC’s recommendations.